It's more thank just cooking and baking… It's where life happens! Every now and again, The Hubs will cruise the internet for recipes. I go to bed before he does since I get up early with the kiddos, so that’s usually when he searches for recipes. He came to me with this fish taco recipe and wanted to do it as soon as possible so we went out and bought all the ingredients for it. 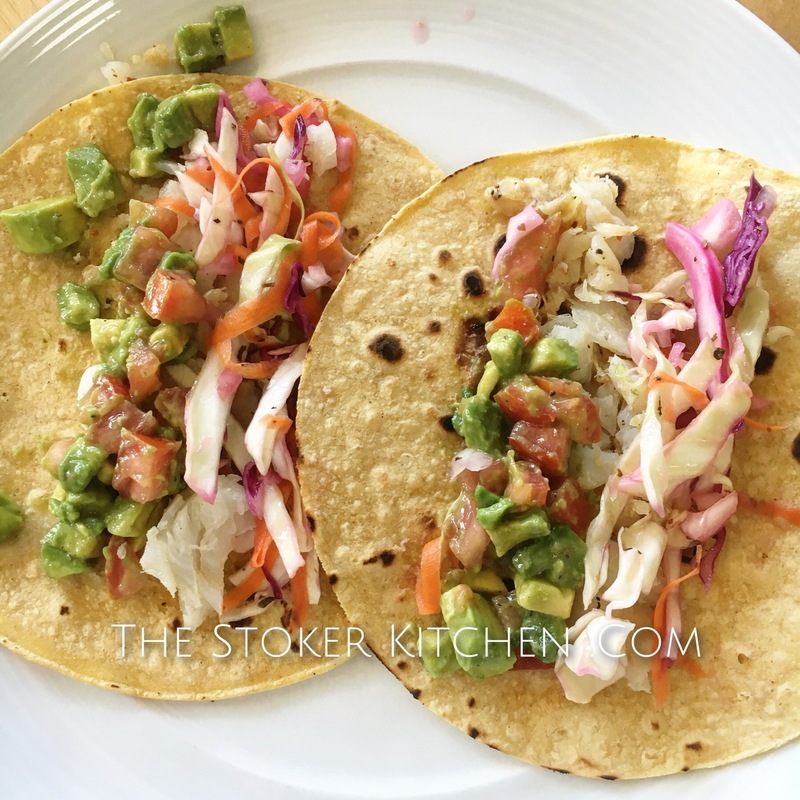 It was delicious and we were surprised at how amazing the slaw that goes in the tacos tasted!! So with out further ado…. Delicious Fish Tacos!! Preheat indoor or outdoor grill over medium high heat. Grill the fish for 5-6 min on each side until full cooked. The fish should flake easily and should have a golden brown crust. Remove the fish from the grill and squeeze the fresh lime and orange juice over the fish. Combine the cabbages, carrot, and onion in a large bowl. Combine the rest of the remaining ingredients in a separate small bowl and then pour over the cabbage mixture and stir. Place a few large pieces of the flakes cod into a warmed tortilla and top with a spoonful of guacamole and about 2 tbsp of the slaw.